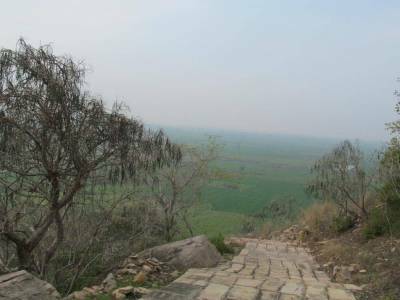 Mitawali Temple or Chausath Yogini Temple in Morena is located on a hill top and one of the rarest of rare Hindu temples in India. 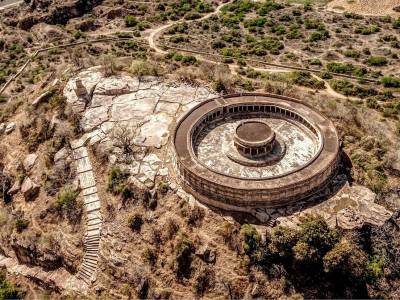 Its plan is circular type temple and it is dedicated to the Tantric sect of Chausath or 64 Yogini. Most of the Hindu temples structure are based on square or rectangular but circular temples like this are very rare in India. It is said that the design of Indian Parliament is inspired by this temple in Morena. It is also a very rare temple as there are 3 - 5 such temples around in India, Such as 2 in Orissa - Hirapur and Ranipur-Jharial, 3 in MP - Bhedaghat (Jabalpur), Khajuraoh and Mitawali. All are circular except the one in Khajurao. A Yogini in Tantra means a practitioner of Yoga, who has controlled her desires and reached a higher stage. They are related to the Matrikas and are basically various manifestations of the Divine Durga. This association with various forms of Sakti or pwoer give rise to the cult of Chausath or 64 Yoginis over time. 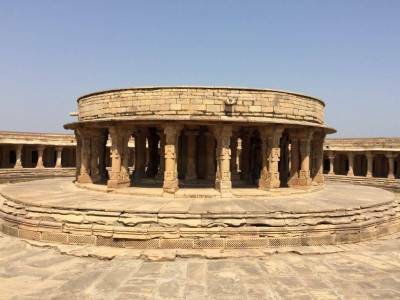 The Chausath Yogini temple, Mitawali has an outer circle of 64 subsidiary shrines of Lord Shiva with a entral shrine of the Yogini. According to an inscription, it was built by King Devapala of the Pala dynasty of Bengal in 9th century. 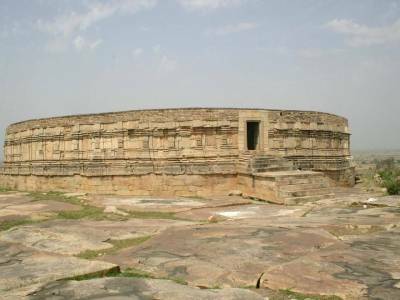 Chausath Yogini Temple, Mitawali is lies about 15 kms from Morena and about 55 kms from Gwalior and needs a whole day to cover all 6 spots. The Temples and monuments are well maintained by archeological survey of India (ASI). The ASI attendants are available everywhere and will assist the visitors about the history of these monuments free of cost. No commercial activity available in nearby. 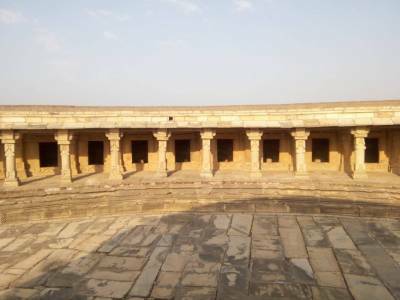 Get quick answers from travelers who visit to Chausath Yogini Temple, Morena.